Take your event to the next level with registration solutions that meet the demands of today’s competitive event market. We are a full-service registration provider to many of the world’s top event organizers. We offer services spanning registration, data analytics, attendance promotion and lead management. We’re driven by immense passion to help our customers make their event the best it can be. 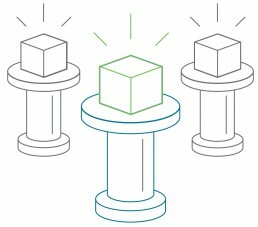 Powering our products and services is a cloud-based platform, Levreg®, built to handle the needs organizers face in today’s competitive event market. It boasts unprecedented scalability and reliability and allows us to set up and maintain websites quicker and easier than ever before. 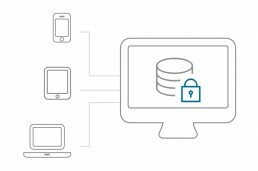 It comes equipped with a robust data management tool that gives us and our customers the ability to mine and manipulate the registration data with ease. Online registration is often one of the first steps someone takes when deciding to attend an event. It has to be engaging, simple to navigate and a quick, pain-free process. We know this well because we develop over 700 custom registration websites each year for virtually every type of event. Onsite registration is mission critical, and no one understands that better than us. It requires the right tools, the right people and the right processes. We have them all, and have been fine tuning them since 1976. Quality buyer/seller engagement is important for the overall health of your event. To help maximize this opportunity, we built engagement functionality into the core of our products—dashboards, show app and lead retrieval app—all of which integrate seamlessly with the registration system, providing a fully integrated registration process. First impressions are lasting impressions. Our call center team understands this well and treats your valued customers like they were our own. Our experts undergo extensive training to ensure they are knowledgeable about the details of your event. They uphold our “customer-first” approach with an attitude of helpfulness, friendliness and patience. Our number one goal is to provide an exceptional customer experience. 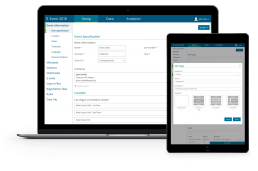 Equip your team with the tools they need to manage registration on their own with greater ease and efficiency. Our Customer Success Program has one goal – to make your event as successful as possible. We achieve this through extensive client consultation, sound project management practices and company-wide performance measurement. It is important that we have the full understanding of your needs before we begin developing your custom registration solution. We do this by consulting with all the key departments within your organization. We have a team of subject matter experts who lead a series of key meetings with your organization, resulting in a thorough understanding of your needs and a detailed plan of action. 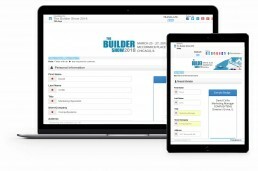 We use formal project management software and techniques to manage your event. It starts with an in-depth onboarding that follows a process of discovery, goal setting, task scheduling and project plan development. Your assigned project manager uses the project plan, project management software and powerful ticketing software to manage your event from start to finish. The result is a smooth transition from your current registration service provider to us. We live by the principle that "if you are not measuring, you are not managing". With extensive surveying, we measure our performance in each key area of our business. The results are tracked and continually reviewed, and we take swift action to make service improvements if needed. Transform the way you explore your registration data, find answers and take action. 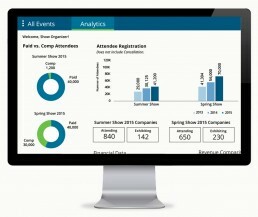 CompuSystems offers a powerful analytics platform that will help you understand your event in ways you never thought possible. Quickly see how you are pacing in any aspect of registration and start making data-driven decisions. Each key individual in your organization can have their own tailored dashboards to monitor and explore the data they need. Compare your current event to past events; identify patterns in registration and sessions; gauge marketing efforts and compare registration data to other data sets. Running reports and creating lists is quick and easy. Report on virtually any aspect of registration and schedule daily or weekly reports. 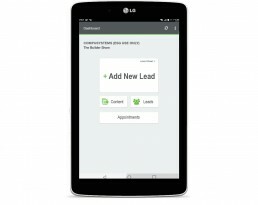 Generate marketing lists to promote your event, and more. We store all our event data in a single data warehouse. This allows us to see trends across all of our events, within specific industry segments or across your events. 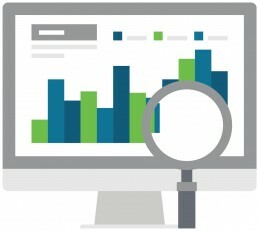 This helps our customers gain valuable insights they may not be able to get on their own. 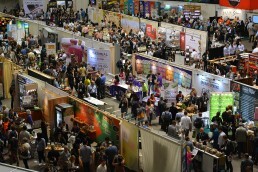 Getting qualified buyers onto your show floor is paramount to the success of your event. Create buzz and turn prospects into registrants with our extensive suite of services. We will help you create campaigns focused on your best audience segments. This marketing program identifies specific prospect groups and provides email templates with targeted messaging and offers. Right from their registration dashboard, attendees are able to send an HTML email to friends and colleagues inviting them to register for the show. All registrations generated from this feature are tracked so you can view the results. Exhibitors are able to send an HTML email to their customers inviting them to register for the show directly from their registration dashboard. All registrations generated from this feature are tracked so you can view the results. This powerful, web-based list marketing system allows exhibitors to mine the attendee registration data and send targeted broadcast emails promoting their booth. TrafficMax increases exhibitor ROI by promoting booth attendance, as well as encourages overall event attendance. Gain valuable insights into how people are interacting with your event registration website. Find out things like: how visitors are finding the website, which pages and links visitors click most, and which campaigns of yours give you the best results. This allows you to make the necessary adjustments to attract more people to your event, as well as improve the user experience for online registration. Ever wonder if a different registration website flow or approach would boost your registration numbers? Now there is a simple way to get the answer. You can deploy two different websites to see which one generates more registrations, fewer abandonments and better registrant feedback. Acquire new, quality attendees by integrating InGo with online registration. It allows attendees to register and spread information about your event across their social networks. Attendees can also send personalized invites to their network, which will further increase your event’s reach and impact. A free and easy way for exhibitors to promote their booth and your event from their company’s own website. A widget is a small snippet of code that exhibitors can download from the registration dashboard and place on their corporate website. Just like the exhibitor registration widget, we offer a separate widget to promote your onsite sessions. 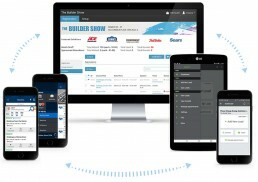 A post show service that gives attendees and exhibitors online access to their booth contacts so they can continue to network after the event. A form of online advertising that offers you a clever way to make another impression with visitors to your registration website who ultimately did not register. It allows you to position targeted ads in front of this defined audience as they browse elsewhere around the internet. Provides an additional way to promote registration, sessions and more. It automatically dials a targeted selection of telephone numbers. Once the call has been answered, the Auto Dialer either plays a custom recorded message or connects the call to a live person. Reports on usage are included in this service. One of the best times to promote your next event is when your registrants are engaged in the excitement of your current event. With our new onsite inquiry app, we make it quick and easy for registrants to express their interest in your next event by simply scanning their badge at a self-serve inquiry station. Sync and integrate data from your registration system to Feathr’s platform, enabling more powerful segmentation, campaign targeting and more accurate reporting. Equip your exhibitors with the products they need to attract qualified buyers to their booth, develop high-quality sales leads, and close more sales. With CompuSystems’ Triple Play it’s all about the exhibitor. We create a one-of-a-kind experience for your exhibitors by providing exceptional services that help increase exhibitor performance and retention rates. Increase revenue and exhibitor ROI by taking advantage of a variety of attractive sponsorship opportunities to market to your exhibitors. These options can be conveniently advertised alongside other sponsorship opportunities and require minimal effort to implement. Express badge pickup – sent to each registrant who didn’t receive a badge (if applicable); contains a bar code that when scanned, will print their badge instantly.